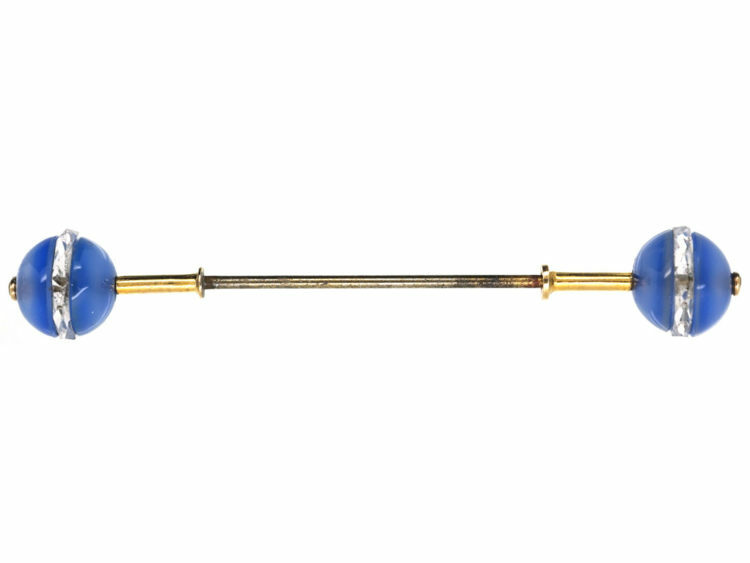 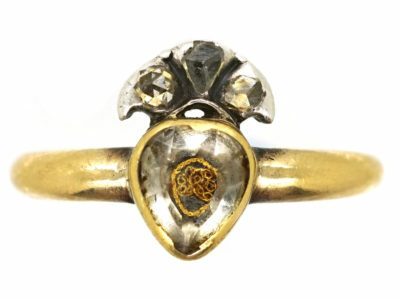 A lovely 18ct gold sûreté pin with a blue chalcedony bead on either end that was made in the 1920s. 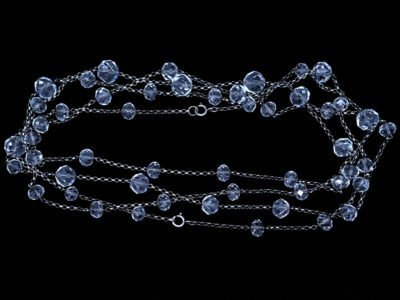 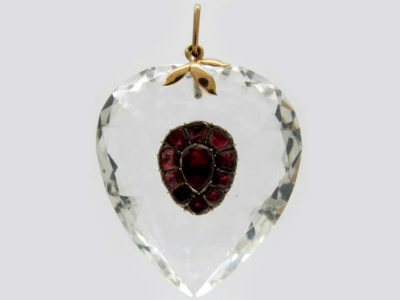 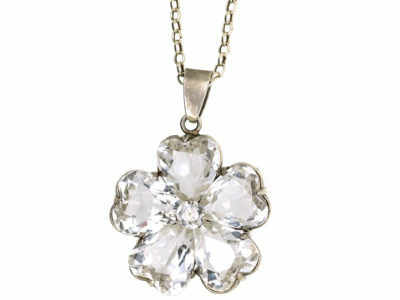 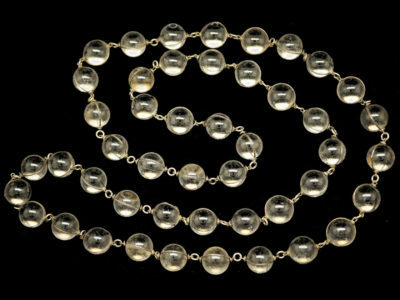 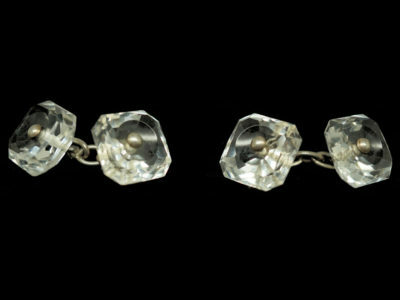 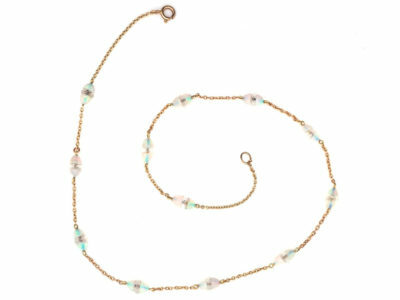 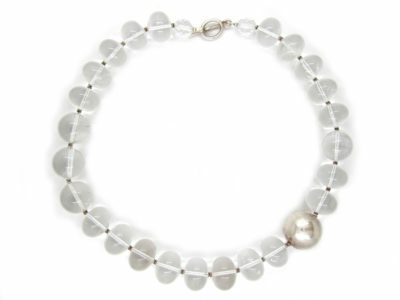 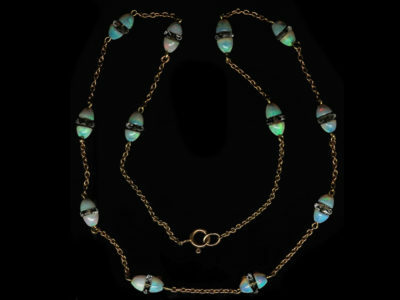 Between the two sections of the beads are faceted rock crystal. 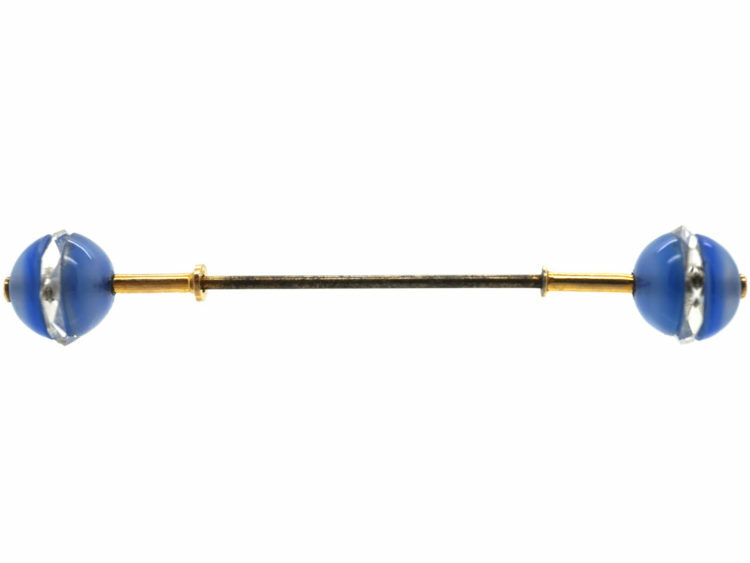 The one bead can be unscrewed in order to attach it through clothing. 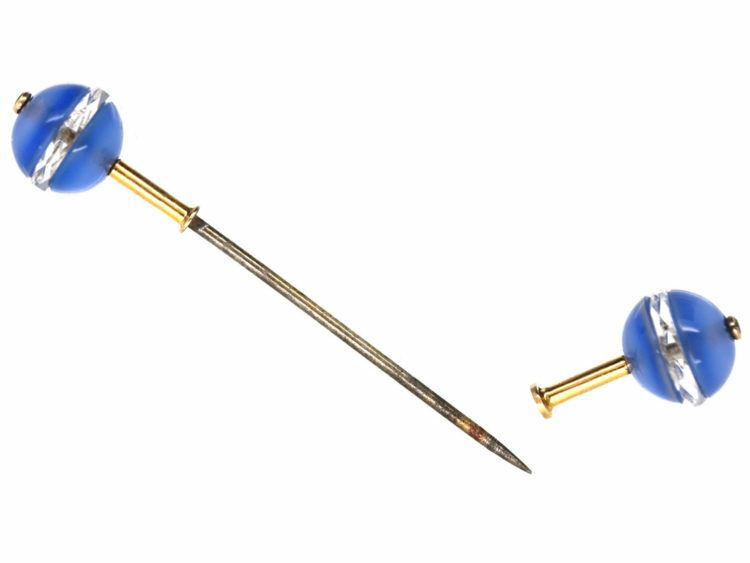 A sûreté is a stick pin with a fixed ornament on one end and a detachable ornament on the other. 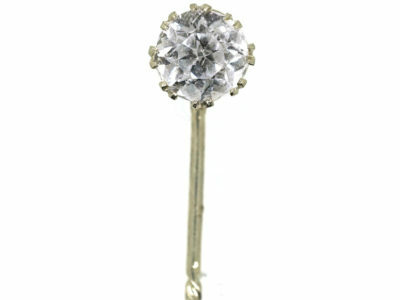 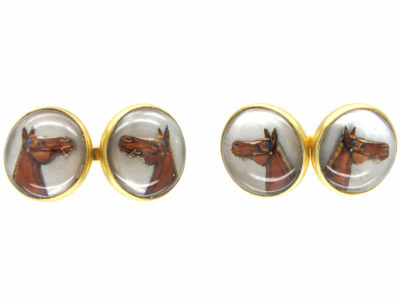 There was a fashion for these pins in the early 1900s. 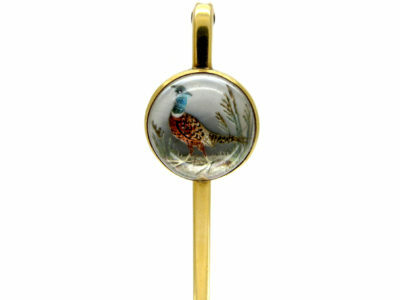 They come in all shapes and sizes from Chinese influenced ones to quite simple and striking pins such as this one.